A majority of people in wealthy countries — including Canada — want to tax the rich more and get better services from government, a survey by the OECD released Tuesday suggests. In Canada, 69 per cent of respondents said the government should tax the rich more than it currently does to support the poor. That’s a slightly higher figure than the 68 per cent average for the nations surveyed by Organization for Economic Co-operation and Development. The OECD surveyed 22,000 people in 21 countries, about 1,000 in a representative sample from each country. The online survey by Respondi Ltd., was performed in the spring and autumn of 2018. Higher taxation of the rich has emerged as a political lightning rod in many wealthy countries, with U.S Democrats proposing hikes and “yellow vest” protesters in France demanding the wealthy bear a bigger tax burden. In Canada, there have been calls to do more to tax money stashed in offshore accounts by wealthy investors. About 57 per cent of Canadian respondents said they wanted government to do more to safeguard their economic and social security. Only five per cent wanted government to do less. There was broad support for building the welfare state in most OECD countries, with the exception of France and Denmark, whose welfare systems are among the most generous in the world. In Canada, many expressed worry about their financial security in retirement, and 45 per cent said they wanted increased spending on pensions, even if it means taxes rise. Beginning this January, the premiums for Canada Pension Plan rose, meaning those who retire a generation from now will have higher pensions. The federal government and provinces agreed to raise CPP contributions, because there are fewer employers offering private pensions. 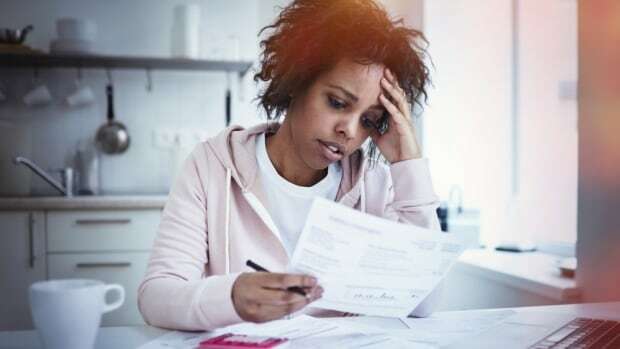 In the short term, half of Canadian respondents said they struggled to meet daily expenses, with 48 per cent saying they worried about becoming ill or disabled, and 36 per cent saying they feared losing their job. Canadians were more likely than people in other OECD countries to say their government listened to them and they could get public benefits if they needed them, but 45 per cent of respondents said the government doesn’t incorporate their views. More than half of respondents across the OECD say they do not receive their fair share of benefits given the taxes they pay, a perception that rises to three-quarters or more of respondents in more unequal countries such as Chile, Greece and Mexico. The sense of injustice that many feel in developed nations is a “wakeup call” for policy makers, says OECD Secretary-General Angel Gurría. “OECD countries have some of the most advanced and generous social protection systems in the world. They spend, on average, more than one-fifth of their GDP on social policies. Yet, too many people feel they cannot count fully on their government when they need help,” he said. He said if governments want to restore trust and confidence in government, they must tackle this perception that the system is unfair and promote equality of opportunity.